Since 1991, Mary Levenson has focused her practice on workers’ compensation defense, advising her clients on a wide range of employment law-related matters and representing them in cases through trial and appeals. Before moving to private practice and joining Eims Graham where she is of counsel, Mary served as Assistant Attorney General in the Seattle Labor & Industries Section of the Attorney General of Washington State. She is also a Registered Nurse in the State of Washington who worked in adult and pediatric medicine prior to beginning her legal career. Skilled at evaluating complex cases, Mary brings her vast knowledge of workers’ compensation law to each client with a focus on preventative counseling and settlement negotiations to resolve cases without costly litigation whenever possible. Mary also has significant litigation experience and has successfully argued cases before the State Board of Industrial Insurance Appeals and Superior Court. Mary is a member of the Washington State Bar Association and the Washington Self-Insurers Association. She also holds the distinction of serving as Chair of the Washington Defense Trial Lawyers Workers’ Compensation Practice Section. 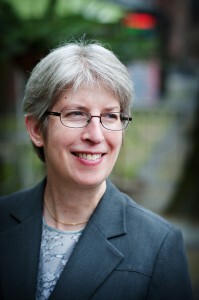 Mary received her Juris Doctor, with Honors, from the University of Washington School of Law in 1989 where she served as Executive Operations Editor of the Washington Law Review and was the recipient of two American Jurisprudence Awards.